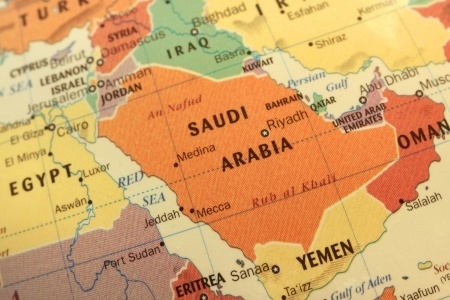 How did you prepare for your new human resources role in Saudi Arabia? The country has different cultures, business traditions, and labor laws. What I realized is that the story behind me making the move from New York City to Riyadh, Saudi Arabia could possibly fill a book [to be announced at a later date]. My thoughts were about how you prepare for this type move, especially if it is an independent move sans large company with a mobility program and all their support. So, as I thought through my approach to this question, I wanted to capture some of what I learned and what to look for, not only for moving to Saudi Arabia, but with any expat opportunity that might come along. While you can find tons of information on any country, the best way forward is through expat blogs. Regardless of the country, somebody took it upon themselves to write about it. This information is invaluable because I could not have even imagined what it is like to not be able to have a beer, worship any religion, take in a movie, etc. All are banned in the Kingdom of Saudi Arabia. Take a look on a map to get the exact location of your destination. The reason being is that if it is centrally located, weekend trips can be really exciting. From Saudi Arabia, in an hour and a half hours you can be in Dubai, Bahrain where the living is much more relaxed. Add a few more hours to that and you can be in Bangkok, Thailand or Vietnam. This makes for long exotic weekend, and at a great price if you plan ahead. English language newspapers are a must to read. They give you inside scoop on what is happening on a daily basis. There is no evening/morning news on TV in many countries (like Saudi Arabia), so this is your only insight into what is going on in your city. Here’s something I found out quickly: The Middle East is a cash society. The retail sector does not really accept credit/debit cards outside of the major grocery chains and department stores.. When I tried to pay my cell phone and a recent car repair bill, I had to pay cash because, well, they only accepted cash. What I learned is to always keep cash on hand because you can never assume that you can use your credit cards. Gasoline purchases are the same. In short, carrying cash is a critical imperative. Everyone that is sponsored to come to Saudi Arabia must get a national ID card, called an iqama. That process is handled by your sponsor [employer] and it takes approximately 2-3 weeks. You cannot transact any business, even opening a bank account or buying a cell phone, unless you have the ID card. You drivers license must be changed into a Saudi license. This process takes a few hours, and normally someone from your company will take you to get this processed. Your cell phone number is used in all transactions. Even when making a doctor’s appointment you will be asked for cell number if you do not know your Insurance ID number. All banking transactions will require a cell phone. There is an extra layer of security that sends an SMS to your phone at every login. Compensation is negotiated in monthly amounts instead of an annual salary. There are no taxes on your earnings. Whatever your negotiated amount, that is what you get. However, you need to be cognizant of IRS regulations during the first year of residency. In order to establish residency, you must meet the physical presence test in that you are physically present in a foreign country or countries for 330 full days during a period of 12 consecutive months. Some of the standard features of expat packages are car allowance. Don’t get fooled by the amount which is offered. The bottom of the scale is around $700 U.S. monthly, in addition to your pay. In Saudi Arabia however, rental cars are exorbitantly expensive. That $700 is the normal charge for a bottom of the line KIA or Toyota for a monthly rental. Housing is taken care of in two ways: either your company will provide it for you, or, you get an allowance [a percentage of your monthly salary] to find your own. But, never choose the allowance option if you do not know the city you are based in well enough to make a choice. If the housing is company provided, you will be living in a secure compound that is fully furnished. All you need to do is bring your clothes and you are set. If you prefer to choose something yourself and live in a different location, stay for at least one year in company housing and have your contract adjusted upward at renewal time as you find your own place to live. Every expat has in their contact a stipulation for vacation travel, which means your annual trip back to your home country. The norm is one (1) round-trip economy class ticket for you and your family, provided they are living and registered with you in your host country. In your negotiations, bargain for two round trips, since some companies have upped the ante on this. Vacations are normally 30 days unless you bargain for more. However, people tend to take the entire 30 days at one time. You have to remember that a one (1) week trip back to the U.S. is really only five (5) days since you will have to travel for 10-12 hours each way. In Saudi Arabia, we are fortunate to have an additional two (2) weeks of religious holidays known as EID. There’s a week in July and about 10 days in October, which gives you an additional few weeks of vacation. Here’s another vacation issue: accrual vs non-accrual. Make sure that you ask this question during your negotiation concerning vacation accruals. If you have not accrued the requested vacation days, you will not be paid for those days. Because of all these vacation days, you want to review all these dates once you are situated and buy your airline tickets 6-8 months ahead. Since so many people leave Saudi Arabia on those religious holidays, I found that the tickets can triple in price and there are no more direct flights. That means long layovers, as much as 10 hours, can be expected. However all the airports in this part of the world are luxurious, and Dubai, Doha, and Abu Dhabi are airports that could rival any luxury mall. Do not purchase an international plan from your phone vendor as it can be extremely expensive. If you are recruited by a large international company, they most surely will have a department that will prepare you for this move. If you have kids, the vast majority of companies will pick up a substantial portion of their tuition up to a certain number of children. Every company has different offerings on this benefit. Be sure and ask the amount that you will be given. Again, expat blogs will give you an idea of the schools and their capabilities. Weekends will have to be totally redesigned, especially if you live in Saudi Arabia. The options are severely limited. If you family comes over, females will be subject to a new level of conformity in dress and interaction outside your living quarters. You will find that at local Saudi malls, unless you are married, that you are not really welcome, especially on weekends. And by the way, men are not supposed to wear short pants since that is frowned upon and you will definitely be called out or denied entry. This time I have been working in Saudi Arabia has been a truly rewarding experience for me and my family. I would suggest that everyone give it a try, because this past year has been one of the most rewarding experiences of our lives.